MIT's venerable science and technology magazine, Technology Review, has just published a gorgeous one-off issue devoted to science fiction that's inspired by "today's emerging technologies." Called TRSF, the issue acknowledges the strong connections between science and its fictional counterpart — and showcases short stories by some of the best writers in the field. We created TRSF because we're in love with this kind of science fiction: plausible tales of how technology will change the world, and what it would be like to live in that world. Whether you're a hard-core science fiction fan, or a casual reader, TRSF will take you to the future. Contributors range from Cory Doctorow and Elizabeth Bear, to Ken MacLeod, Pat Cadigan, and Tobias Buckell. And it's packed with gorgeous art from Chris Foss. The special Technology Review issue, TRSF, is out on newsstands now, or you can order it online for $7.95. 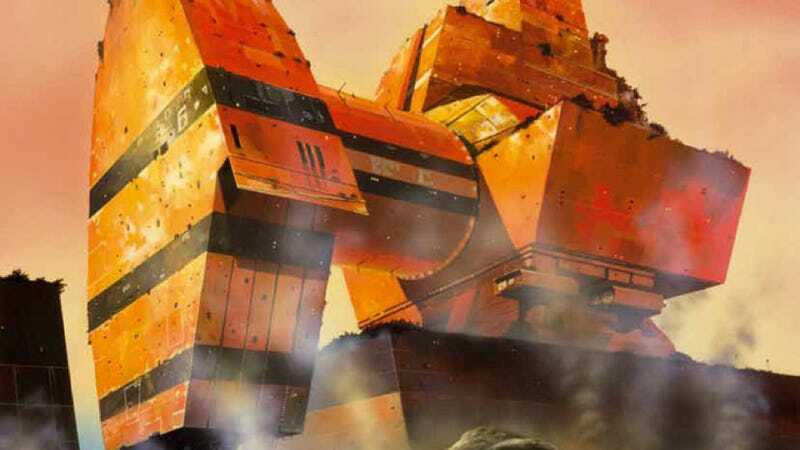 Art from trsf by Chris Foss.